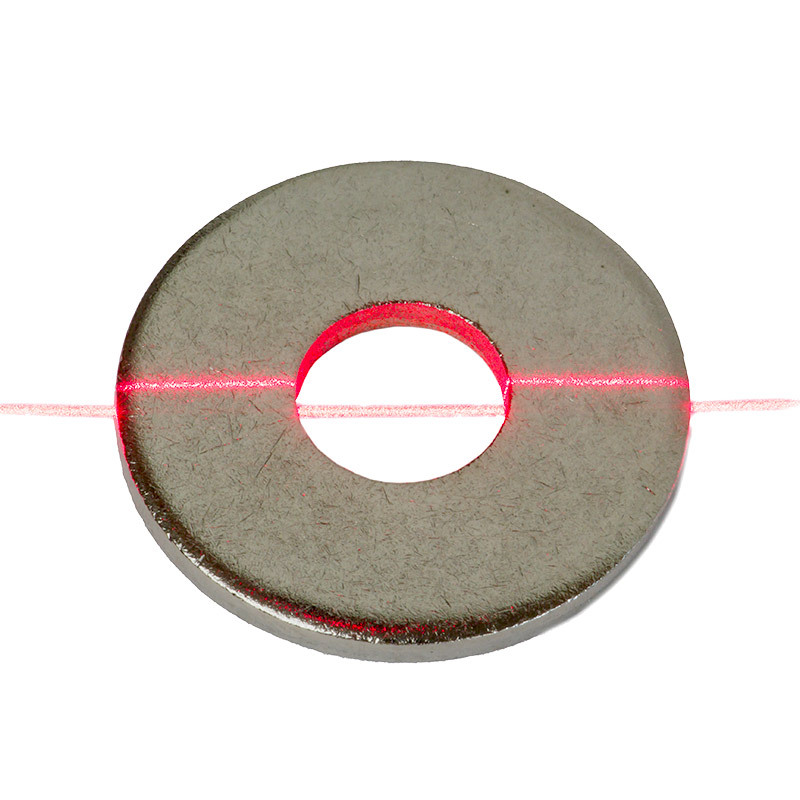 These days, flat washers are an auxiliary material used in almost every industry. In most cases, the washers consist of different alloys and are required in all sizes and thicknesses, which means the demands on the manufacturers are particularly high. In order to supply the customer with a correctly sorted, high quality product, the thickness and diameter are inspected before the washers are packed. This inspection is carried out using a scanCONTROL 2910-50 laser scanner.